Microsoft announced over at the Office blog that they had started rolling out Office Delve, formerly codenamed Oslo, to Office 365 users. 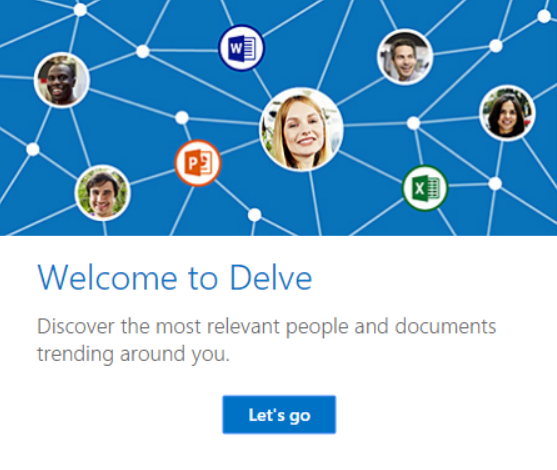 I’m looking forward to be able to do some real testing on Office Delve. It’s supposed to be great at surfacing the information I need. Over time, as I collaborate more and more with colleagues and we share documents etc, Office Delve will learn how I work and what information I’m most likely looking for. It’ will be interesting to see how this evolves. 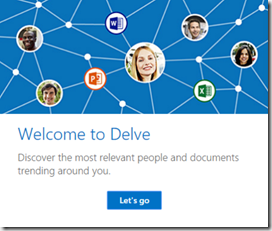 Microsoft rolls out Office Delve to Office 365 customer now but it still may take some time before your Office 365 tenant is updated. 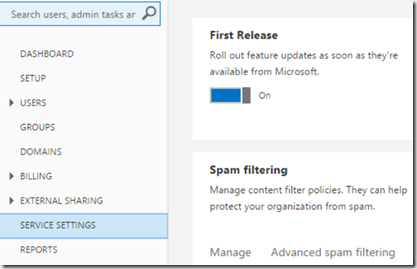 If you would like to get updated as soon as possible go to your Office 365 Admin Center and click Service Setting. There you will see a First Release box. 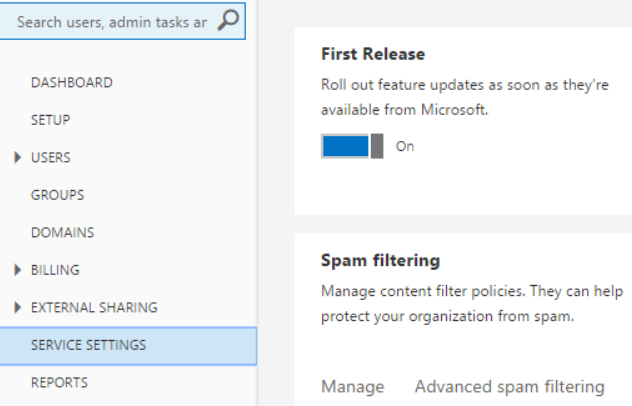 Set the switch to On and you will soon be updated with Delve. It took about 24 hours for my installation when I did it. The top navigation got a new item named Delve after a little while but it gave an error for some hours so just be patient and you will soon be good to go.